More than a year after a comprehensive study pinpointed threats to the Allegheny River’s upper stretches, steps have been taken to protect the cherished waterway. 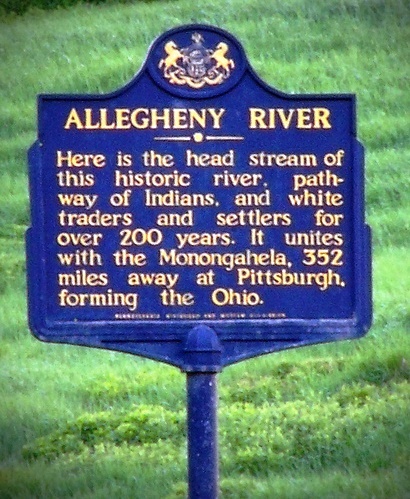 Upper Allegheny Watershed Association (UAWA) conducted the assessment of roughly 80 stream miles, where development and other pressures have generated concern about the long-term health of the river and its many branches. All but six of 39 sites studied on the Allegheny headwaters and Mill Creek were scored at high quality or exceptional value. Dwight Creek and Mill Creek continue to qualify for Class A Wild Trout Water status, as determined by the Pa. Fish & Boat Commission. Three more tributaries — Steer Brook, Peet Brook and Nelson Run — will soon be added to that elite listing for water quality. UAWA found the top threats to be accelerated bank erosion, obstructions to the passage of aquatic organisms, and the hemlock woolly adelgid, an invasive insect that has attacked and killed thousands of hemlock trees across the state. Five streams were pinpointed as having the greatest need for improvement projects: Mill Creek, North Hollow Run, Allegheny River mainstream, Toombs Hollow and Prosser Hollow. Since that time, some of the streambanks have been stabilized and landowners in the targeted areas have been educated on the importance of riparian vegetation along stream banks. UAWA also reached out to township officials, property owners and logging companies to promote the use of culverts that allow fish species to migrate. The third and possibly most destructive threat, the hemlock woolly adelgid, is a major concern. Additionally, the control of acid precipitation is also beyond the reach of UAWA. Other threats identified in the study were invasive plants didymo and knotweed, inadequate riparian buffers, and shale gas development. They were found to be significant, but not as severe in frequency or probability. Surprisingly, agricultural practices were deemed to be among the least critical threats to the health of the watershed. UAWA is working with Potter County Conservation District, Penn State’s Center for Dirt and Gravel Road Studies, Pa. Fish and Boat Commission, Pa. Dept. of Environmental Protection and other agencies to implement the plan. A new feature on the Potter County website (pottercountypa.net) allows the public to access a wide variety of information, ranging from gas well locations to designated flood plains and real estate parcel ownership. Potter County Planning/GIS Director Will Hunt shared details at this week’s meeting of the Potter County Board Commissioners. The Potter County Resource Map Gallery has interactive, real-time maps showing locations and related information for municipal buildings, election polls and other points of interest. Other applications will be added to the gallery, including an incident viewer that allows responders to plot the location of emergencies. To access the gallery, click on the Planning Department from the website’s landing page. 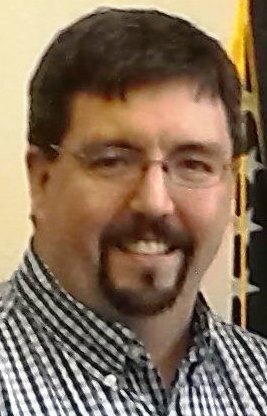 Hunt’s innovative work for Potter County has earned him an appointment by Governor Tom Wolf to the state’s new Geospatial Coordination Board. The board will have a hand in setting statewide guidelines to facilitate state/local cooperation for broader deployment of geographic information systems (GIS) and assistance to underserved areas. Make Local Governments Pay For State Police Coverage?